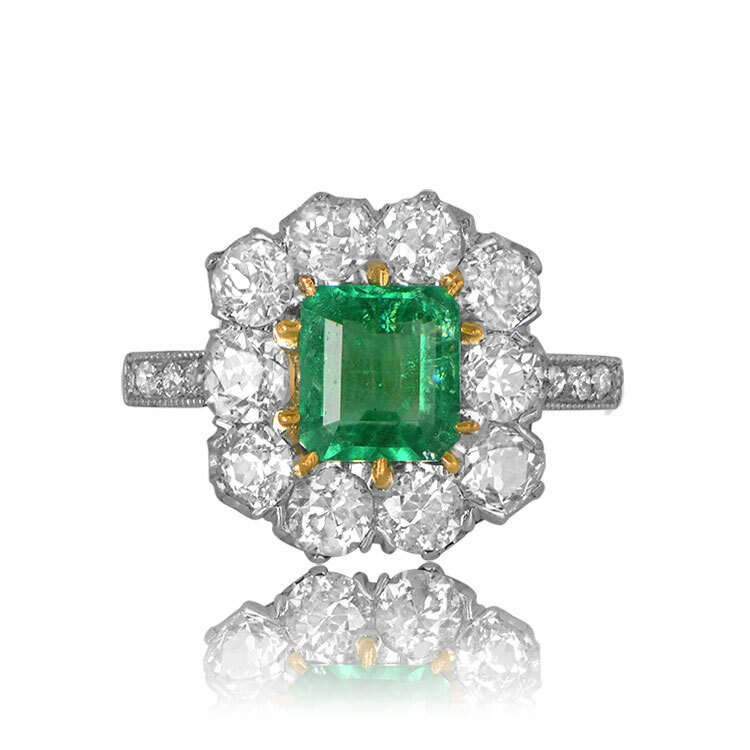 A emerald floral halo ring that features a 1.30 carat natural Colombian emerald with a stunning green saturation. 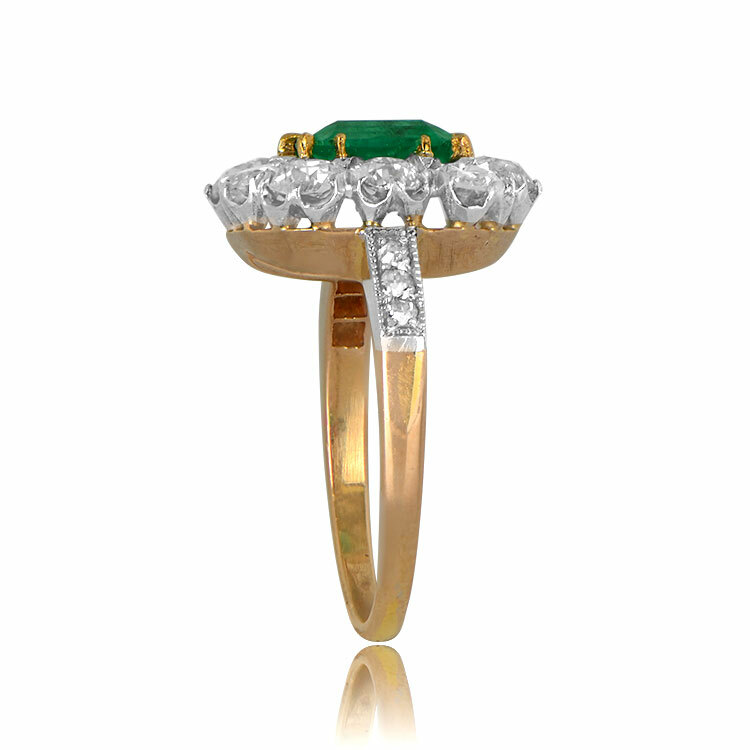 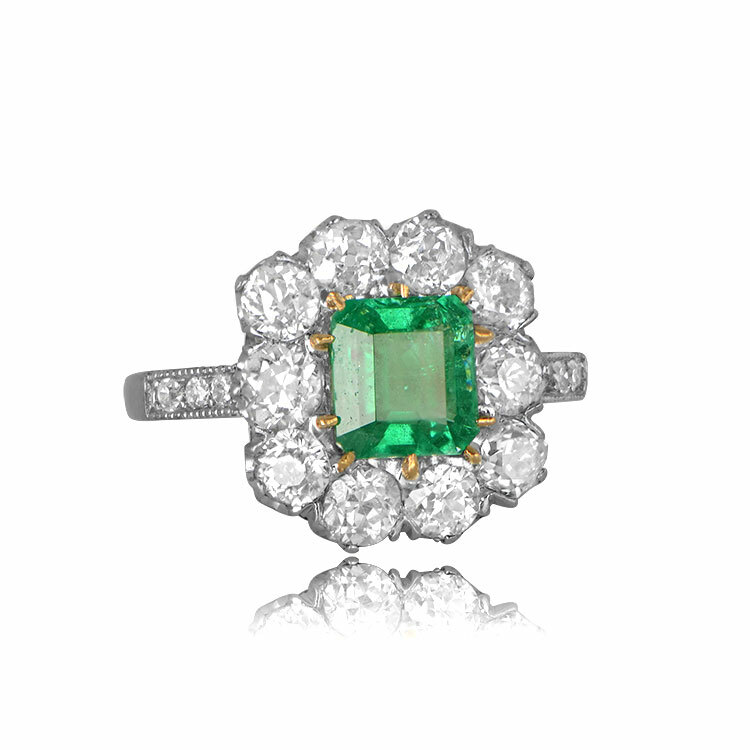 Surrounding the center emerald is a cluster of antique diamonds with a total approximate weight of 2.10 carats. 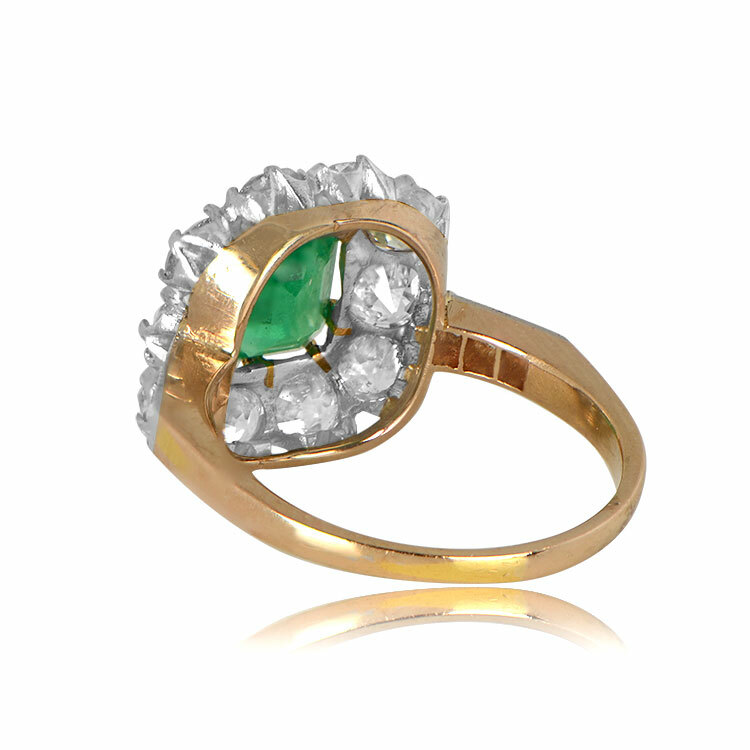 This ring is platinum topped and 18k rose gold. 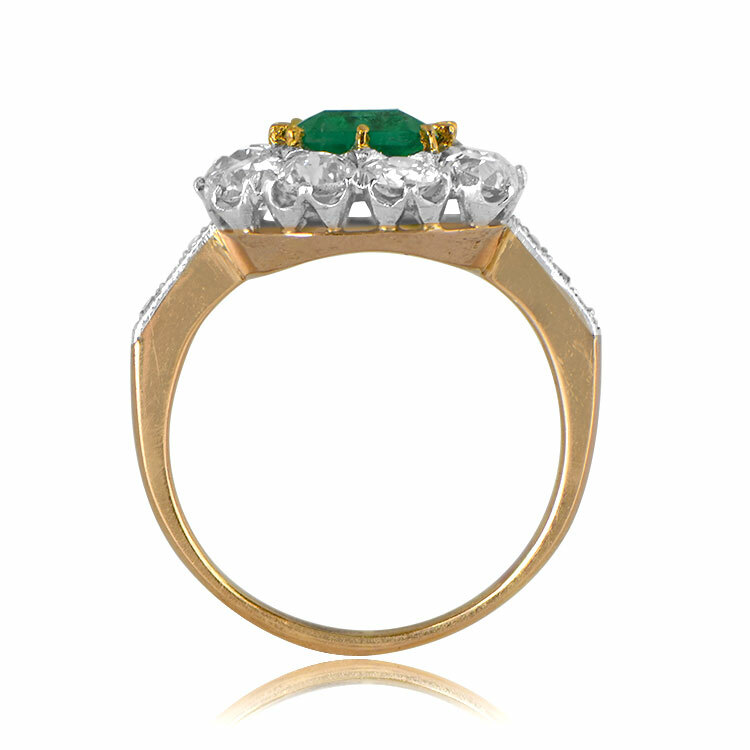 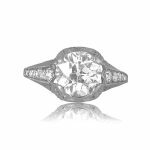 The measurements of this ring with the diamond cluster is 15mm x 14.5mm. 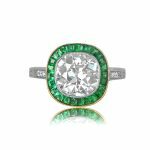 SKU: GS551 Categories: Emerald Engagement Rings, Vintage Cocktail Rings, Vintage Engagement Rings - Contact us and request additional pictures.